Large, long, purple fig with strawberry colored flesh is juicy with sweet flavor. Tree is a natural dwarf; easily kept under 6-8 ft. Very heavy producer. Ripens Aug. to Oct. Cold hardy to zone 7. 100 hrs. NOTE: Due to their sensitivity, figs are NOT guaranteed. Small to medium, thin skinned greenish yellow fruit. Strawberry red flesh with fine flavor and excellent quality. 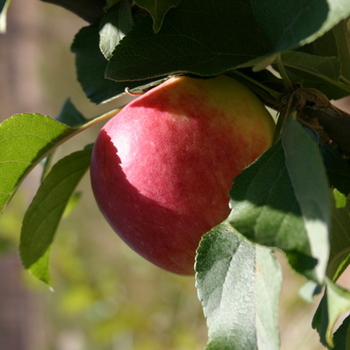 Fruit is resistant to damage by weather and insects and is not attractive to birds. Excellent fresh or dried. Tree is somewhat dwarf and does very well in pots. Heavy bearer. Cold hardy to zone 7. 100 hours. Self-fruitful. 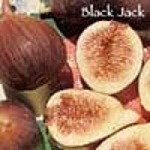 Black fig with dark red flesh and rich flavor. Tree is small and well adapted for container culture or small spaces. Early crop is pear shaped with a thick, tapering neck; main crop is variable, often without neck. Good fresh or dried. Cold hardy to zone 5. 100 chill hrs. Self-fruitful. NOTE: Due to their sensitivity, figs are NOT guaranteed.